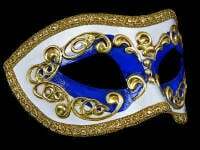 Venetian masquerade Party mask - Excellent antique gold, cream & purple painted base with gold braid edged detailing.....Fantastic Venetian Masquerade mask! 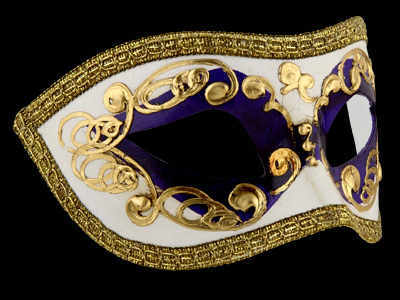 Simply Masquerade bring you this stunning Occhi Masquerade Mask in Purple which is just the thing to add a wow to your party outfit. Showcasing a vintage-inspired style that takes glamour to the max, this stunning party mask features a beautiful gold, cream & purple hand painted painted base surrounded by a gold coloured braid edged detailing. 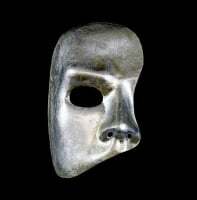 Create a modern and contemporary style with this fabulous mask which is just right for a special night out and will look amazing with your outfit. 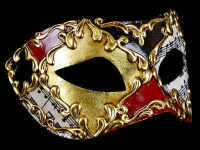 With its black satin ties this mask is suitable for a man or woman ro wear & is perfect for your next masquerade party, wedding, prom night or Venetian masked ball.